Using language for politics is not new. There has been an increasing recognition of the role of language in learning and children’s intellectual development. Research has shown that children whose primary language is different to the language of instruction in school are more likely to drop out or fail in early grades. Studies have also shown that children’s first language is the optimal language for literacy and learning throughout primary school. In Pakistan, where retention rates are abysmal and students in the public education system perform poorly (data from NEMIS reports a literacy rate of 58% and class five retention rate of 69%), it is important to reflect on the role of language as one of the key drivers of learning outcomes. Pakistan’s first National Educational Conference (NEC), held in 1947, emphasized that “education should be based on Islamic conception of universal brotherhood of man … and the consciousness of common citizenship as opposed to provincial exclusiveness”. Thereafter national educational policies were revised in line with this idea. Urdu was implemented as the universal medium of instruction in public schools, despite it being a language little known to a majority of the population of East and West Pakistan. This, some may argue, brought national politics to a boil in 1971. 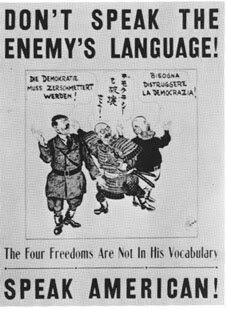 1947 was not the first time the issue of language was evoked in politics. In the early 1800s, the change in script of the Sindhi language from Devanagari to Arabic dissuaded many from the local schooling system. During the first half of the 20th century, legislators argued for the separation of Sindh from Bombay presidency on the basis of differences in language and race. After the separation was done, the Sindhi Muslim politicians used language again to counter the perceived threat of dominancy by the Hindu majority, particularly in Karachi. Post independence, members of the Sindhi elite felt wary of the potential rise of a unified Muhajir nation fused under the banner of the Urdu language. Sindhi was not the native language of all indigenous communities, nor was Urdu the mother tongue of all partition migrants in Sindh, and yet the ethno-nationalism divide between the Sindhis and the Muhajirs deepened as the politics of language took center stage. Sindh province is a multilingual region like many other areas of Pakistan. For example, populations in the eastern desert parts of the region speak various languages including Dhatki, Parkari, Marwari etc. in addition to Sindhi. The Seriaki and Barochki habitants of the upper belt, with the Katchhis of the coastal belt collectively form a majority as compared to the Sindhi speaking population in Sindh. This politics has negative effects for children in school. I studied in a Sindhi medium public school myself and in retrospect recognize how difficult it was to understand the strange words and terms being taught in class. The Sindhi being taught to me was heavily influenced by the dialect in the province’s upper region and was quite new to me. A recent World Bank study points out, “Fifty percent of the worlds’ out of school children live in communities where the language of the schooling is rarely, if ever, used at home. This underscores the biggest challenge to achieving Education for All (EFA): a legacy of non-productive practices that lead to low levels of learning and high levels of dropout and repetition”. If education in the regional language is a challenge for a local Sindhi resident like myself, how is a young child from a Bheel marginalized community with a different mother tongue expected to succeed at school? It is true that there are many systemic barriers to education such as extreme poverty, hunger, under-nourishment, access to schools etc. But it is also true that by failing to address the learning needs of children, such as the right medium of instruction in schools, we exacerbate the impacts of these barriers, especially on marginalized communities and vulnerable groups. A number of developing countries like Ethiopia, Mexico, Guatemala, Haiti, and Peru have seen a significant decrease in drop-out ratios and improved retention rates after promoting mother-tongue-based multilingual education. For us to do the same, we will need political will, budgetary allocations, trained teachers from linguistic minority groups, and bilingual text books. It is going to be a long road, but following the 18th Amendment, where each province is empowered with respect to its education policies and programming, there is a unique opportunity to allow our education system to serve all. Sindh government will not permit promotion of subgroup languages. Unfortunate but true. All are being forced to learn the Syed language.